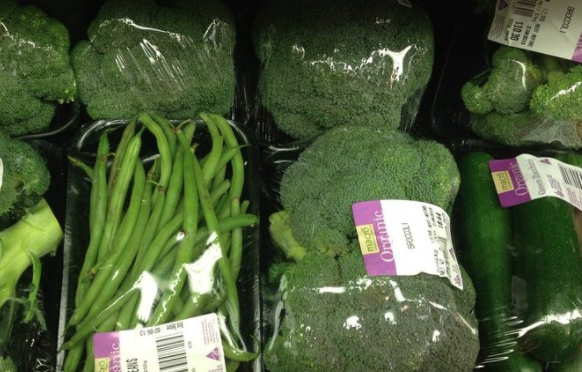 More than 220,000 people in the UK have signed a Change.org petition lobbying the government to force the country’s retailers to cut out the use of plastic packaging on fruit and vegetables. “The UK government rightly stopped the supermarkets from offering plastic carrier bags for free and they also have the power to stop retailers from offering fruit and vegetables pre-packed in plastic packaging, which is not necessary and causes pollution,” the petition states. The debate over whether the benefits of packaging, especially in extending a product’s shelf-life, outweigh the damage caused to the environment by waste and pollution has been raging for some time. However, pressure has been steadily growing on the government to act since the hugely popular Blue Planet II documentary series highlighted the plight of marine life in increasingly plastic-infested waters. In a speech today, Prime Minister Theresa May laid out her plan of eliminating all avoidable plastic waste within 25 years, with proposed policies including plastic-free aisles in supermarkets and a tax on takeaway containers. May has also promised to extend the 5p levy on plastic bags to smaller shops. Other new green measures include more funding for plastics innovation and £10m for schools to teach children more about the environment. The Prime Minister also called on retailers to increase sales of loose fruit and vegetables. However, campaign groups have argued that such aspirations need to be backed up by legislation and urged the government to promise not to dilute environmental standards in exchange for rapid post-Brexit trade deals, the Guardian reported. Greenpeace bemoaned the lack of a plan for a deposit return scheme for plastic bottles, although environment secretary Michael Gove has confirmed that the government is still considering such a scheme. Meanwhile, Friends of the Earth’s chief executive, Craig Bennett, urged scepticism over the plan given the government’s record on green issues such as air quality and fracking. The Change.org petition recommended that supermarkets offer brown paper bags instead of clear plastic bags in the fresh produce aisles, and use cardboard punnets for smaller items like berries instead of plastic ones. Shadow environment secretary Sue Hayman dismissed the government’s plan as a “rebranding” effort by the Tories and criticised its “weak proposals”. A chapter on holding the government to account on its green record apparently offered little way of doing so, while a section on how to make planning and development more environmentally friendly and protect the green belt remained blank, according to the Guardian. However, Ben Stafford, campaigns director at conservation group WWF, remained critical. “We would say that you need more comprehensive and ambitious legislation with far-reaching targets if you’re going to get into a position where you’re actually improving the environment in the longer term,” he told the Guardian.